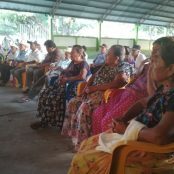 In the context of the extraordinary elections that have been set by the local electoral authority for December 9, we, the signatory organizations, are concerned about another armed attack that members of the General Assembly of the People of San Dionisio del Mar may suffer, such as the one that occurred in Holy Week this year against five members of the Assembly and that to this date remains unpunished. During a press conference on November 20, the PRI candidate described the members of the Assembly as “the actors of violence”, criminalizing them by not mentioning the context in which various events had taken place. Last Thursday, November 22nd, two people warned the members of the Assembly in the municipal palace to take care, because the PRI group threats to kill them. In the night of the 24th, an unknown person driving a motorcycle was passing outside the municipal palace in a clear attitude of provocation, shouting, insulting and seeking confrontation with the members of the Assembly. Moreover, the community is concerned about the safety of children attending kindergarten or school at the entrance of the town. The PRI’s office is located in the same area and the 15 to 20 people there announced in various parts of the community that they are armed. According to witnesses, the PRI candidate visits the homes of the citizens since November 19, offering money and, in the case of Huamuchil, the electrification of the village in exchange for votes. In the same way, other people within the community who are clearly linked to the PRI, such as Ernesto Juárez and Jorge Castellanos Pino, give other gifts to win votes for the PRI candidate. It should be mentioned here that of the six candidates registered for the municipal election, only Teresita Luis actually runs an election campaign. This is evidence of the misuse of state aid, of her current position as president and of the aid to the victims of the earthquake through foundations such as Azteca and Checo Pérez. 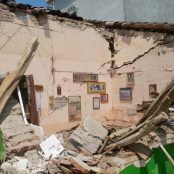 All of the above translates into violations of human rights, such as the right of access to justice, of physical integrity and security, the collective rights of indigenous peoples facing development projects, the right of information, of prior, free and informed consultation and the right of shelter for women and children affected by the earthquake, among others. For the Assembly of San Dionisio, the list of pending issues is long: the lack of justice for those injured during Holy Week, the injustice in the distribution of financial aid, the lack of attention during the earthquake, the buying of votes, the lack of information about the activities of the municipal government, etc. Faced with these situation, the Assembly expressed its disagreement with the electoral process, as there were no conditions for fair competition or for the reconstruction of the social structure. The Assembly does not refuse to hold municipal elections, but has requested that the conditions be met. 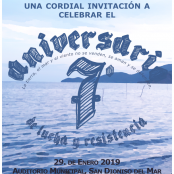 We remind you that in 2012 the General Assembly of San Dionisio del Mar took over the municipal palace due to the bad management of the municipal authority and the lack of information to the community about the Mareña Renovables project. This project was largely rejected and ended since the Barra Santa Teresa, fishing zone and sacred place of the communities of the Zona Lagunar, is legally protected. 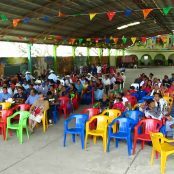 On March 29, 2018, members of the General Assembly of the People of San Dionisio del Mar were attacked with firearms by persons linked to the PRI candidate. Five people were injured, one of them seriously. The abdominal wound for which this person was hospitalized has still not completely healed. The events were denounced but so far there is no progress in the investigations. This was the second armed attack on the Assembly of San Dionisio, the first took place in 2014. We hold state and municipal authorities responsible for any new act of violence that may occur, since there is an armed group serving the PRI candidate in the community, threatening and intimidating members of the Assembly. 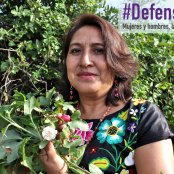 We ask the Office of Human Rights Defence of the People of Oaxaca to issue an early warning in order to protect the safety of the threatened defenders of the Assembly and the community in general, considering the polarization in the community and the confrontational atmosphere created by the PRI candidate herself. We urgently need to address the underlying problem in the community of San Dionisio del Mar. These are not just the elections, there are various and serious violations of human rights that have not been adequately addressed yet. Categorías: Areas de Trabajo, Campañas, Defensa Integral, defensor@s, DefensorES, Istmo, Monitoreo, Pueblos Indígenas, San Dionisio del Mar.